World Tourism Organization (UNWTO) and the Ministry of Tourism of Argentina are pleased to inform you that the 2nd UNWTO Global Conference on Wine Tourism will take place on 29-30 September, 2017 in Mendoza, Argentina. Wild Asia, ITB Asia’s official CSR partner, will present a series of Responsible Tourism Events. Experts and experienced practitioners will be presenting concepts, international standards, lessons learnt, current trends and notable regional case studies. Register your interest for the session via the following link http://bit.ly/RSVPRT2. Click here for the detailed schedule of the Responsible Tourism Events. Wild Asia is a consultancy focusing on conservation of natural areas and support of local communities dependent upon natural resources. One of Wild Asia’s initiatives is the Wild Asia Responsible Tourism Awards which, every year since 2006, recognizes Asia-based sustainability superstars in the travel industry, and remains the only regional award program for responsible travel. 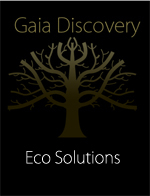 The awards are based on the Global Sustainable Tourism Council’s criteria. The Responsible Tourism Awards are part of Wild Asia’s Responsible Tourism Initiative. Sustainable development is an imperative for all sectors, and the United Nations has declared 2017 as the International Year of Sustainable Tourism for Development. How to best develop sustainably? Do travelers wish to buy sustainable products? Global Sustainable Tourism Council (GSTC) has partnered with Korean hosts to assemble an all-star group of experts on sustainable tourism to provide leading-edge insights into these important questions. Register for Global Sustainable Tourism Conference here. Participants come from the private sector, public sector, NGOs, and academia to learn and share contemporary ideas that can be translated into action. Registration fees are modest. Host city Suwon is easily accessible from Incheon Airport. Simultaneous translation will be provided in English, Korean, and Chinese. Join us at the conference to be part of the solution to these important questions. Creativity and diversity will be the focus of Sustainable & Smart Tourism Forum 2016. Under the theme “Co-creating life-changing tourism experiences", the 2016 Sustainable & Smart Tourism Forum (2016 SSTF) has been designed to offer a platform and a playground for gaining and sharing knowledge, skills and good practices around the world, in the fields of sustainable and smart tourism as well as smart cities. The 2016 SSTF is supported by the Global Sustainable Tourism Council. During this two-day journey focused on creativity and diversity, participants will be offered many opportunities to explore new perspectives in tourism innovation and marketing, while expanding their networks. One of the key speakers at the event is GSTC CEO, Randy Durband, as well as Catherine Germier-Hamel, member of the GSTC Election Committee and CEO of Millennium Destinations, which hosts the event. 2016 SSTF offers 50% discount to GSTC Members and participants of the 2016 Global Sustainable Tourism Conference in Suwon, South Korea (Oct.5 to 8, 2016). For more information, visit 2016 SSTF website.